Nicholas Christopher Michael "Christy" Ring (12 October 1920 â 2 March 1979) was an Irish hurler who played as a right wing-forward for the Cork senior team. Born in Cloyne, County Cork, Ring first excelled at hurling during his school days. He arrived on the inter-county scene at the age of sixteen when he first linked up with the Cork minor team, before later lining out with the junior side. 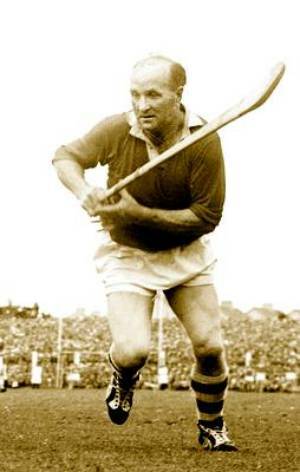 He made his senior debut in the 1939-40 National Hurling League. Ring went on to play a key part for Cork over the following twenty-four years, and won eight All-Ireland medals, nine Munster medals and three National Hurling League medals. An All-Ireland runner-up on two occasions, Ring also captained the team to three All-Ireland victories. Ring represented the Munster inter-provincial team for a record twenty-three consecutive seasons, winning a record eighteen Railway Cup medals. No other player in the history of the competition has gone into double figures. At club level he won thirteen championship medals with Glen Rovers. In a game as mythologised as hurling, Ring's universally accepted pre-eminence is remarkable. His career tally of 33 goals and 208 points was a record score which stood until the 1970s when it was surpassed by Eddie Keher. His haul of eight All-Ireland medals was a record which stood for over a decade until it was equalled by John Doyle and subsequently surpassed by Henry Shefflin. At the age of thirty-nine he was named Caltex Hurler of the Year. Throughout his lengthy career, Ring made 65 championship appearances for Cork, more than any other player in the county's history and a national record which stood for nearly fifty years until it was surpassed by Brendan Cummins. His retirement came prior to the start of the 1964 championship when he failed to be selected for the Cork hurling team. Ring is widely regarded as one of the greatest hurlers in the history of the game, with many former players, commentators and fans rating him as the number one player of all-time. He has been repeatedly voted onto teams made up of the sport's greats, including the Hurling Team of the Century in 1984 and the Hurling Team of the Millennium. Ring was born at Kilboy, less than a mile from the small village of Cloyne in rural East Cork. His family later moved to the village where they occupied a house on Spittal Street, commonly referred to as 'Spit Lane'. The second son born to Mary and Nicholas Ring, his father worked as a gardener for local landowners. Ring's siblings included two sisters, Katie and Mary Agnes, and two brothers, Willie John and Paddy Joe. It was Ring's father, a former Cloyne hurler, who instilled a passion for the game in his young son by taking him to club games in Cork, making the eighteen-mile journey by bicycle with his son on the cross-bar. Ring was educated at the local national school in Cloyne, where he was noted as a quiet but diligent pupil. On one occasion, the school master, Maurice Spillane, offered a prize of a hurley and sliotar to the boy who would get the highest grade in the school. Ring applied himself diligently and got first place from among forty-eight pupils. As was common at the time Ring received no secondary education and left school before the age of fourteen. His first job was as an apprentice mechanic with the Williams firm in Midleton, before he later moved to Cork city where he found work as a lorry driver with CÃ³ras Iompair Ãireann. In 1953 Ring became a delivery driver with Shell Oil. In 1940 Ring and his two brothers left the Cloyne club and Ring remained 'unattached' for over a year before joining the Glen Rovers club in Cork city in the summer of 1941. After making his debut against St. Finbarr's in the county senior championship semi-final, Ring went on to win his first senior championship winners' medal following a defeat of Ballincollig in the final. 'The Glen' had just captured a record-breaking eighth county title in-a-row while Ring would go on to have much more success with the club in a career that spanned three decades. A ninth successive championship proved beyond Glen Rovers, however, the club continued to dominate the local hurling scene in Cork for the rest of the decade. The club secured back-to-back titles in 1944 and 1945 following wins over fierce southside rivals St. Finbarr's and divisional side Carrigdhoun respectively. Ring's side narrowly missed out on a third successive championship in 1946. After a one-year absence from Cork's hurling showpiece, defeats of Blackrock, Imokilly and St. Finbarr's in the respective championship deciders of 1948, 1949 and 1950 brought Ring's county championship winners' medal tally to six. 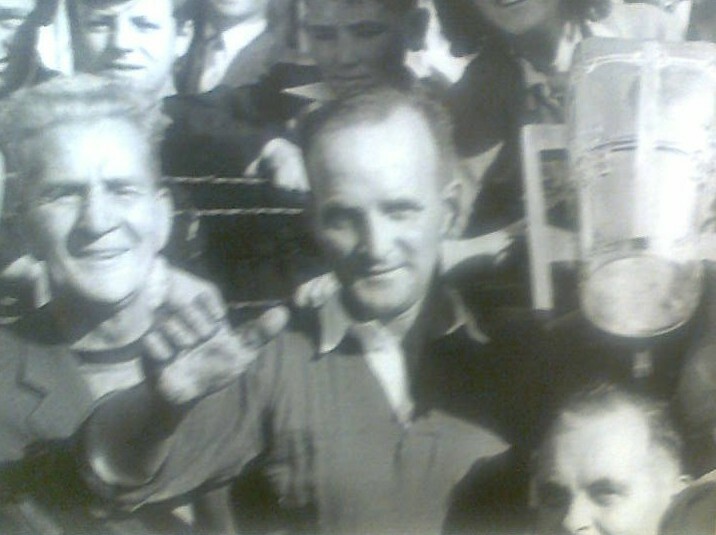 'The Glen' dominated the next decade of hurling also, contesting eight consecutive county finals between 1953 and 1960. Victories came in 1953 and 1954 and, following the loss of three county finals in-a-row, âthe Glenâ went on to win three-in-a-row in 1958, 1959 and 1960. The 1960s were not without success either, as Ring won further county medals in 1962 and 1964. The latter was Ringâs thirteenth county victory and was subsequently converted into a Munster club title. Ringâs last game for Glen Rovers was a county quarter-final against UCC in 1967. Ring made his first senior appearance for Cork when he came on as a substitute against Limerick in a tournament game in early 1939. Later that year on 22 October 1939 he made his first senior start when Cork played the newly crowned All-Ireland champions Kilkenny in the opening round of the 1939-40 National Hurling League. Ring quickly became a regular fixture on the Cork starting fifteen and was named at right wing-forward for the National League final against Tipperary. An 8-9 to 6-4 score line gave Cork the title and gave Ring his first National League winners' medal. Cork contested the Munster final later that year, however, after an exciting draw and a thrilling replay the great Limerick team of the era emerged as the victors. Ring won a second consecutive National League medal in 1941, however, that year's hurling championship was severely hampered due to an outbreak of foot and mouth disease in Munster and Leinster. As a result of this Tipperary and Kilkenny, the two counties that were affected the most, were not allowed to participate. It was also decided that Cork would represent Munster in the All-Ireland final. The game against Dublin turned into a rout thanks to contributing goals from Johnny Quirke and Ted O'Sullivan. At the full-time whistle Cork had won by 5-11 to 0-6. It was one of the most one-sided championship deciders of all-time, however, it did give Ring his very first All-Ireland winners' medal at senior level. In the delayed Munster final played in October, Tipperary gained their revenge by defeating the All-Ireland champions. In 1942 Cork were still on form and Ring won his first senior Munster title following a defeat of Tipperary. He subsequently lined out in a second consecutive All-Ireland final. Dublin provided the opposition for the second year in-a-row and the opening half turned out to be a close affair. Johnny Quirke gave Cork a comfortable half-time lead thanks to a goal, however, in the second-half Cork went on the rampage. At the long whistle Cork were the champions by 2-14 to 3-4 and Ring collected a second All-Ireland winners' medal. A defeat of Waterford allowed Ring to add a second Munster title to his collection in 1943 before later contesting a third successive All-Ireland final with Cork. Antrim, having already pulled off two of the biggest shocks in the history of the championship by defeating Galway and Kilkenny, were âthe Rebels'â opponents. The game, however, turned into an absolute rout. At half-time Cork led by 3-11 to 0-2, however, by full-time they had forged ahead to capture a 5-16 to 0-4 victory. It was Ring's third consecutive All-Ireland medal. In 1944 Cork faced Limerick in the Munster final. The game ended in a 4-13 to 6-7 draw and had to be replayed; however, as full-time approached the possibility of another draw seemed likely. With just minutes remaining Ring caught the sliotar in his own half-back line, made a solo run past a succession of challenges and, from forty yards out, hammered a shot into the Limerick net. Cork went on to win the game by a goal and many regard this game as the moment that the mantle of hurlingâs star player passed from Mick Mackey to Ring. Once again Cork went on to face Dublin in the All-Ireland final and, like the previous three years, the Munstermen had an easy win. Dublin could only manage to score 1-2 compared to Cork's 2-13, resulting in Cork taking the title. With that Cork set a record of four consecutive championship victories that has yet to be equaled. Ring was also the proud holder of four senior All-Ireland medals before his 24th birthday. Cork lost their provincial crown to Tipperary in 1945, however, the team returned in 1946 with Ring, now as captain of the team, picking up a fourth Munster winners' medal after a defeat of Limerick. The subsequent All-Ireland final pitted Cork against old rivals Kilkenny for the first time since 1939. Two quick goals just before half-time, one from the stick of Ring, put Cork in the driving seat. Five more goals followed in the second period as Cork were the 7-5 to 3-8 winners. It was a remarkable fifth All-Ireland title in six years for Cork and for Ring. Ring won a fifth Munster title following a second consecutive defeat of Limerick in 1947. The All-Ireland final was a repeat of the previous year as Cork and Kilkenny did battle again. In what has been described by many as the greatest hurling decider of all-time Mossy O'Riordan and Joe Kelly scored two goals that almost won the game for Cork. Kilkenny, however, fought back with Terry Leahy and Jim Langton leading the charge and eventually won the game by 'the usual point' on a score line of 0-14 to 2-7. That defeat saw the break-up of the great four-in-a-row team of the 1940s and was followed by four lean years of championship hurling for Cork. The Cork team bounced back in 1952 with Ring winning a sixth Munster medal following a defeat of three-in-a-row All-Ireland champions Tipperary in the provincial decider. Dublin provided the opposition in the subsequent All-Ireland final, however âthe Dubsâ were completely outclassed by Cork on that occasion. In spite of only leading by three points at half-time Cork won by 2-14 to 0-7 and Ring picked up a sixth All-Ireland medal. In 1953 Ring took over the captaincy of the team from Paddy Barry. The year began well with the new captain collecting a third National League title and a seventh Munster medal. The subsequent All-Ireland final saw Galway take on Cork, however, 'the Rebels' were victorious by 3-3 to 0-8 and Ring added a record-equaling All-Ireland medal to his collection. The game, however, was clouded in controversy due to the injury to the Galway captain, Mickey Burke. After the match at the Gresham Hotel in Dublin a fight broke out when another Galway player struck Ring. The following morning another fight broke out when another member of the Galway panel attempted to hit Ring. The fights, however, ended just as quickly as they had started. In 1954 Ring was still captain of Cork as he attempted to make history by capturing an eighth All-Ireland medal. Tipperary fell to Cork by 2-8 to 1-8 in the provincial final, giving Ring an eighth Munster winners' medal. A ninth All-Ireland final appearance beckoned for the Cork maestro, with Wexford providing the opposition. A record attendance of nearly 85,000 people packed into Croke Park to witness the Munster champions defeating the Leinster champions by 1-9 to 1-6. More importantly for Ring, he had entered the record books as the first player to win eight senior All-Ireland medals on the field of play. Cork lost their provincial crown in 1955, but âthe Rebelsâ were back in 1956 and faced Limerick in the Munster final. Limerick looked to be cruising to victory, however the last ten minutes of the game saw Ring display his exceptional class by scoring three goals and a point to capture a ninth Munster winners' medal. Wexford were Corkâs opponents in the All-Ireland final once again. The game has gone down in history as one of the all-time classic games as Ring was bidding for a ninth All-Ireland medal. The game turned on one important incident as the Wexford goalkeeper, Art Foley, made a miraculous save from a Ring shot and cleared the sliotar up the field to set up another attack. Wexford went on to win the game on a score line of 2-14 to 2-8. In spite of Cork's loss Wexfordâs Nick O'Donnell and Bobby Rackard, in an unparalleled display of sportsmanship in any game, raised Ring onto their shoulders and carried him off the field. Wexford had won the game but there was no doubt in their minds that the real hero was Ring. Following defeat in the 1956 All-Ireland final, it was expected by many that Ring, who was now thirty-six years-old, would retire from inter-county hurling. No such announcement came and he was included on Cork's championship fifteen again for 1957. In the Munster semi-final victory over Tipperary, Ring suffered a broken wrist which ruled him out of the subsequent Munster final. Cork lost that game to an up-and-coming Waterford side by 1-11 to 1-6. In 1958 Cork exited the championship after just two games, while in 1959 the side reached the Munster final once again. Waterford provided the opposition and in spite of Ring scoring 1-5, Cork lost by a goal. Ring, however, was later honoured as the Caltex Hurler of the Year as he embarked on his fourth decade of senior inter-county hurling. He remains the oldest player ever to win the award. Ring finished the 1959-60 National League as top scorer, however, Cork were beaten by Tipperary in the final. Both sides met later that same year in the Munster final, in what has been described as the toughest game of hurling ever played. Cork had most of the possession in the first-half, however, Tipp led by a goal at the interval. The deadly accuracy of Jimmy Doyle saw him end the game with a tally of 1-8. A nail-biting finish saw 'the Rebels' capture a late goal, however, Tipperary held on to win a grueling encounter by 4-13 to 4-11. 1961 followed a similar pattern to the year before. Ring was once again the National League top scorer for the 1960-61 season and, once again, Cork and Tipperary lined out against each other in the Munster final. A tempestuous game followed with scuffles breaking out throughout the first-half. As the game entered the final quarter Ring and John Doyle became involved in a punch-up while Tom Moloughney was knocked to the ground, allegedly after being struck by Ring. Tipperary won the game by 3-6 to 0-7, however, Ring was wrongly named in some national newspapers as having hit both Doyle and Moloughney. The National Union of Journalists later issued an apology to him. Cork reached the final of the 1961-62 National League where Kilkenny provided the opposition. In what would be his last outing at Croke Park, much of the Ring magic still remained, however, Cork ultimately lost by 1-16 to 1-8. The subsequent Munster championship saw Ring lose out to Waterford at the semi-final stage. It would be Ring's last championship game for Cork. Ring played a tournament game against Waterford in June 1963 and was again later picked for Cork's championship fifteen. On the day of the opening game against Clare, it was announced that Ring would not be playing. Cork won and he was again included as a non-playing substitute for Cork's subsequent Munster semi-final defeat against Tipperary. In 1964 Ring, in spite of being out of inter-county hurling for over a year, let it be known that he was available to play on the county team but he was turned down by majority decision of the team's selection committee. After 25 years and a then record of 64 championship appearances Ring was effectively dropped and the curtain was brought down on his inter-county career. but Ring did not line out with Cork when he heard that the decision to be recalled was not a unanimous one. While he also indicated that he would be interested in playing in the All-Ireland final, the prospect of winning his ninth All-Ireland winners' medal as a substitute to another player did not appeal to Ring and he declined to be listed as a sub in the end. This decision finally ended all of the speculation that Ring would make a dramatic comeback at some stage. In 1974 Ring became a selector with the Cork senior hurling team, however, it was an unsuccessful year in the championship for his county. He was dropped from the selection team in 1975 but returned as an influential selector under Bertie Troy in 1976. That year Cork captured the Munster title before later lining out against Wexford in the All-Ireland final. After six minutes of play Cork were in arrears by 2-2 to no score, however, Ring's switch of Jimmy Barry-Murphy to centre-forward was pivotal in helping Cork to turn the game around and win it by 2-21 to 4-11. In 1977 a second set of Munster and All-Ireland titles followed for Ring as selector again. 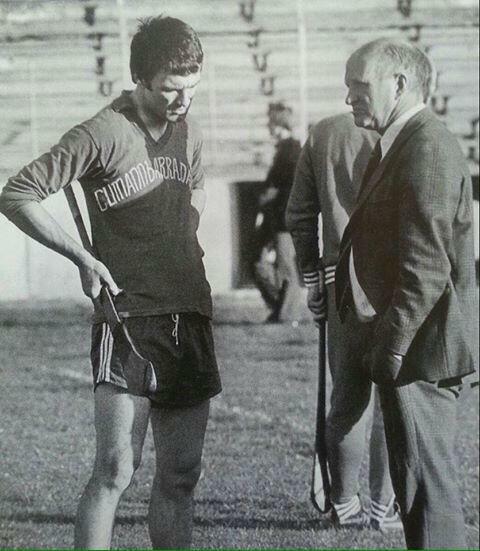 1978 was a particularly poignant year for Ring and the Cork hurling team. Cork annexed a third Munster title under Ring's stewardship that year before later lining out against Kilkenny in the All-Ireland final. Once again Ring made some decisive positional switches involving Barry-Murphy and Tim Crowley, which eventually led to a 1-15 to 2-8 victory over the old enemy. It was a particularly sweet victory for Ring. It had been forty years since he captured his first All-Ireland medal with Cork in 1938. He was a stylish young hurler on the senior team when Cork captured the three-in-a-row in 1943 and he was a legendary figure on the team when he repeated this feat in 1954. Now Ring had also become an All-Ireland three-in-a-row winning selector with Cork. The 1978 All-Ireland triumph over Kilkenny turned out to be Ringâs last visit to Croke Park. As Ring was walking past the Cork College of Commerce on Morrisson's Island on 2 March 1979 he suffered a massive heart attack and collapsed. He was taken by ambulance to the South Infirmary Hospital but was pronounced dead on arrival. He was 58 years old. The news of his death came as a great shock to the people of Ireland, and particularly to the people of Cork. His funeral was one of the biggest ever seen in Cork with up to 60,000 people lining the streets. It was also a remarkable hurling occasion with many of Ring's former Munster and All-Ireland foes in attendance. Farranferris pupils formed a guard of honour, draped in the famous black, green and gold Glen Rovers colours. The funeral Mass was presided over by Bishop Cornelius Lucey while the chief celebrant was Fr Charlie Lynch, brother of former Cork team-mate and Taoiseach Jack Lynch. Other former Cork team-mates involved included Fr Con Cottrell, Fr Bernie Cotter and Fr J.J. O'Brien. Ring's coffin was shouldered into St Colman's churchyard by renowned sporting celebrities from Cork and other counties. "We carried him at last", was former team-mate Paddy Barry's remark, in reference to Ring often saving the Cork hurlers from almost certain defeat. "As long as young men will match their hurling skills against each other on Ireland's green fields, as long as young boys swing their camÃ¡ns for the sheer thrill of the feel and the tingle in their fingers of the impact of ash on leather, as long as hurling is played the story of Christy Ring will be told. And that will be forever."